02/20/2015 – Update v4.0 In game Tablet, Saved objects folders, & Connection Improvements! As always, we’ve got some exciting stuff for you guys. Most importantly, we are bringing the ultimate sandbox tool into Tabletop Simulator this patch… the internet. Yep, you can now browse the web, watch YouTube videos, listen to music, create/edit character sheets, and all kinds of things within Tabletop Simulator’s own little Tablet. Please note that the Tablet is currently in Alpha. We also added the much requested saved objects folders and worked really hard to get connection issues working properly. Welcome to our new website and brand new Berserk Games logo! If you encounter any issues while browsing, let us know what the problems are and we’ll take care of them. As of right now, the official forums are down, so please post any bugs, suggestions, etc on our Steam Community or our sub Reddit. Browse the internet in multiplayer right on a tablet. Full HTML5 support and even flash if installed. You can watch youtube videos, listen to music, manage RPG character sheets in Google Drive, and other places on the web. 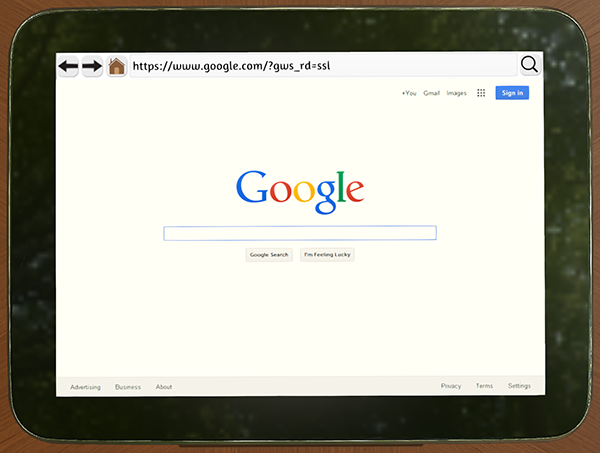 Clicking the screen will enter you in tablet mode where all inputs get redirected to the browser. You can move the tablet by grabbing the bezels of the device. Tablet interaction can be disabled for clients in the host options. Pop up confirmation window to accept links from user. Tablets do not currently work with Mac or Linux versions of the game. Only one Tablet can be spawned at a time for right now. Text caret is not displaying properly in text fields. Changing graphics settings after a tablet has been spawned will make the tablet not work without a restart. Page scrolling is currently not synced for each person. Fixed issues that was causing players to get stuck connecting to a server. If connecting fails due to nat punchthrough it will attempt to connect multiple times. This should greatly reduce some of the connection issues some players have been reporting. Direct connect will now bring up the password menu if the password is not supplied. Added protection against hackers being able join a public game and perform promoted players actions. Server side checks for important promoted player actions. You can now create folders for organization in your saved objects menu. First create a folder by opening up your saved objects menu and clicking the create folder button. Then whenever you save an object you can choose that folder from the dropdown menu and it will save to it. You can also easily rearrange your files by dragging and dropping them within the menu or outside the game in your folders. You can now manually control the shaders for custom models. You can modify the Specular Color, Specular Intensity, Specular Sharpness, and Fresnel Strength. You now have almost the same control over custom models as the devs do. To see how to start modifying custom model shaders check it out here. No longer must you apply any changes you make in the right click/contextual menu. Any changes will automatically apply and this greatly helps when using the color tinting. Optimized the amount of network traffic when manipulating multiple objects with the contextual menu. Reduced lag and graphical glitches when populating a scrolling list. Overall scrolling optimized to handle larger lists. Expanding saves will no longer lag. Fixed scrolling issue that would cause buttons to become hidden when filtering. Improved the accuracy of the 3d mouse pointers, so that the tip of the finger exactly matches the location. You can now draw perfect straight lines by holding shift while using the paint tool. Improved semi-lock to not lock objects at strange angles by increasing the time to lock when stationary. Reduced the network traffic needed to synchronize players pointers. Minor performance improvements for cpu usage by marking certain objects static. Host can now disable flicking for clients in the host options. Fixed custom model normal maps being incorrectly rendered. Fixed color tinting not working for first load on custom models. Fixed being able to flip or rotate locked objects by using multiselect. Fixed hover actions being applied improperly while holding objects. Fixed delete and expand save button getting stuck on for selected items. Fixed expand save button not minimizing the expand on other saves. Fixed dragging and dropping UI elements clipping behind other gui elements. Fixed tooltip for objects showing up through gui elements. Fixed hosting a server and failing to connect to facilitator causing you to leave steam lobby. Fixed naming issues for the Deck Builder’s bat files. Stay up to date on development by following us on Facebook and Twitter!